For our 2018 Community Service Project, ASID UCLA Extension has chosen to assist PATH (People Assisting the Homeless). Read more about the project below, what we've been tasked with, and most importantly, how you can help. PATH’s mission is to end homelessness for individuals, families, and communities. They do this by building affordable housing and providing supportive services throughout California. Ever since it was founded in 1984, PATH has pioneered bold and effective approaches to assist people experiencing homelessness. PATH operates services throughout California, connecting clients to a comprehensive continuum of homelessness prevention, street outreach, employment preparation and placement assistance, individualized case management, supportive services, interim housing, and permanent supportive housing. 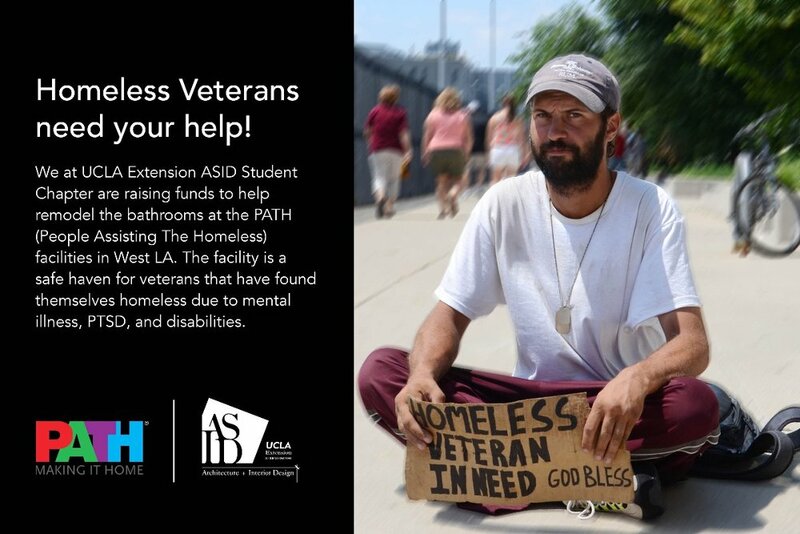 The ASID UCLA Extension Student Chapter is currently in the fundraising stage of our community service project, to fix the bathrooms at the PATH (People Assisting The Homeless) facilities in West LA. The Facility is a safe haven for veterans that have found themselves homeless due to mental illness, PTSD, and disabilities. PATH's West LA location is in need of our help! 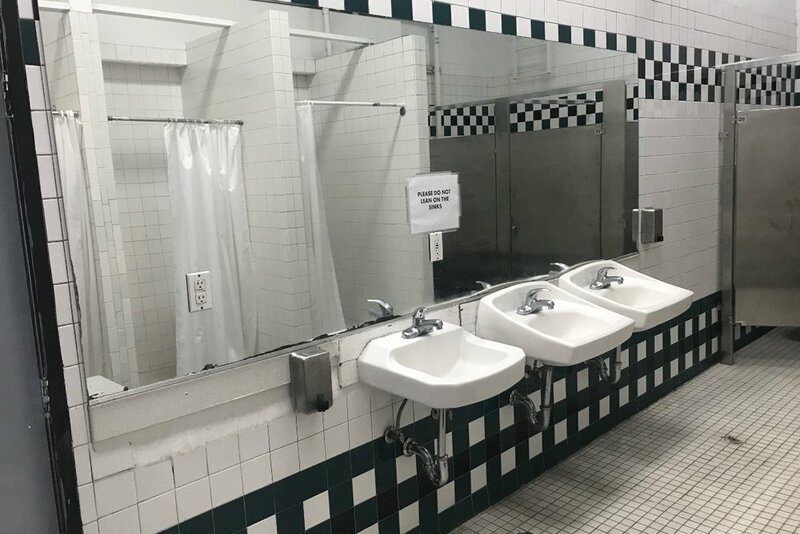 The bathrooms these veterans are using are in major need of a renovation. Our goal is to raise $10,000 to give the veterans a new and fresh bathroom where they can feel clean and comfortable. There are several opportunities for both members and non-members, no matter where you are in the program. Volunteers! We will need help with the Implementation starting in July. If you have any interest in being a part of this project, please contact us.